9th Feb Tony Hodge – Pray! 2nd March Tony Hodge – King David, Temptation, Sin and Restoration. 9th March Tim Anderson – Finding reality with God. 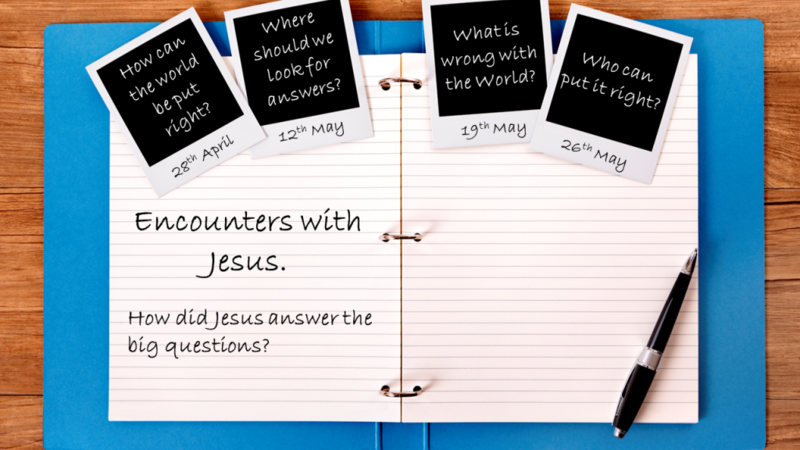 30th March Charlotte & Helen – Read Your Bible! 21st Sept Roy Wheeler: Joshua 1 & 3 – Arise! 29th Mar Mike Geach – God has time for individuals, for you and me. 31st May Clare Reed 40DWJ Week 6: Should he Stay or Should He Go? The Story – Our journey through the Bible as a Story of God’s love for people. 16th Oct Tony Hodge – “How can you believe the Bible when it contradicts science? Timothy Keller – Isn’t the Bible historically unreliable and regressive? – notes by TH & link to his talk. 27th Nov Authentic Christianity 1, Simon Barrington – Who is my neighbour? 11th Dec Authentic Christianity 3, Clare Reed – How can I help? 29th Jan Ruth Brown – Living to work or working to live? 12th Feb Clare Reed – Welcome to the team! Pop(ular) Idols – Identifying and dealing with idolatry in our lives. 11th Feb Tony Hodge: Who is the Spirit? 8th Apr Tony Hodge: “Gods not dead” – Can it be true? 22nd Apr Tony Hodge: Freedom in Christ 1 – Who Am I? 8th July Clare Reed: Job – when life seems against you.